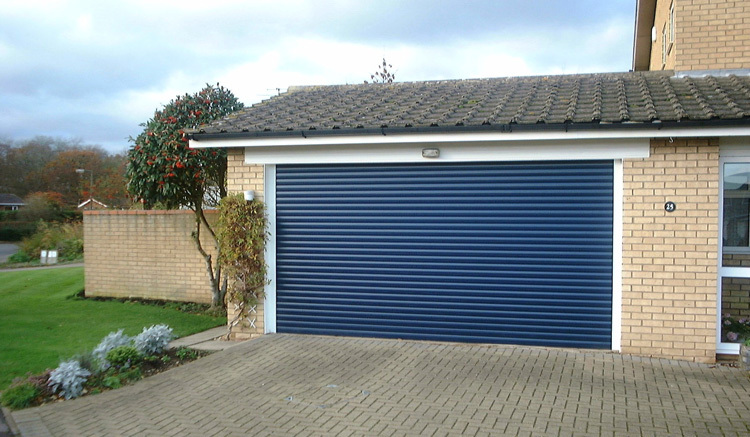 Want the peace of mind that your garage is secure? Call Armor Shutters in Peterborough for garage door installations. 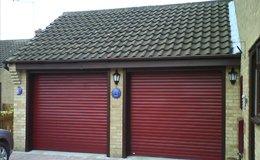 Armor Shutters provides a quality garage door installation service in Peterborough and surrounding areas. The Rollamatic insulated garage door provides the convenience of power operation and offers reliability and secure protection for the contents of your garage. Control units include an automatic courtesy light and use secure rolling code technology. Small handheld transmitters enable you to open and close the door from the safety and warmth of your car. Your newly installed garage door with vertical opening makes the maximum use of your driveway and allows safe parking only inches from the door. With the guides fitted neatly behind the brickwork, extra space is created for easier parking. The tightly coiled curtain gives extra headroom for off road vehicles and people carriers. An override facility allows the door to be opened during a power failure and the durable finish means the door will look good for years to come and will not need painting. For more information or a free quote, please call our team today. 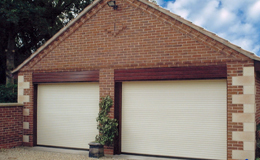 Looking for a durable garage door in Peterborough?